Providing an exquisite selection of craft cocktails to accompany your food. 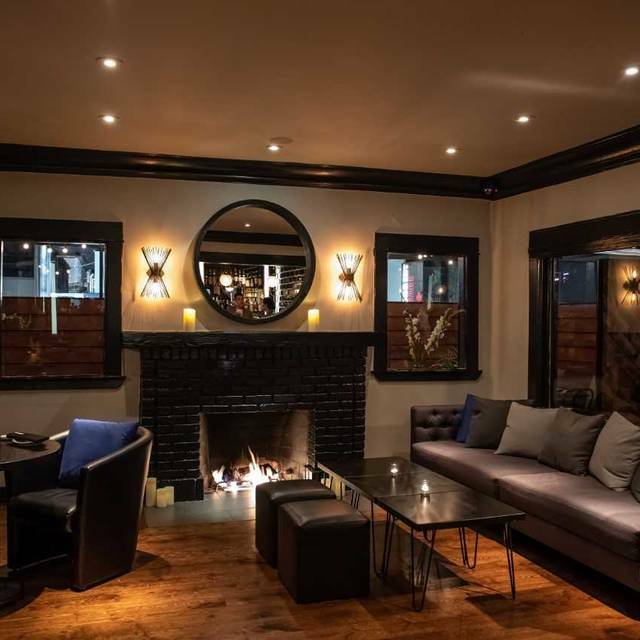 Come enjoy the experience of being served such fine food in a candlelit dining room or simply come enjoy one of our specialty cocktails in our beautiful lounge. 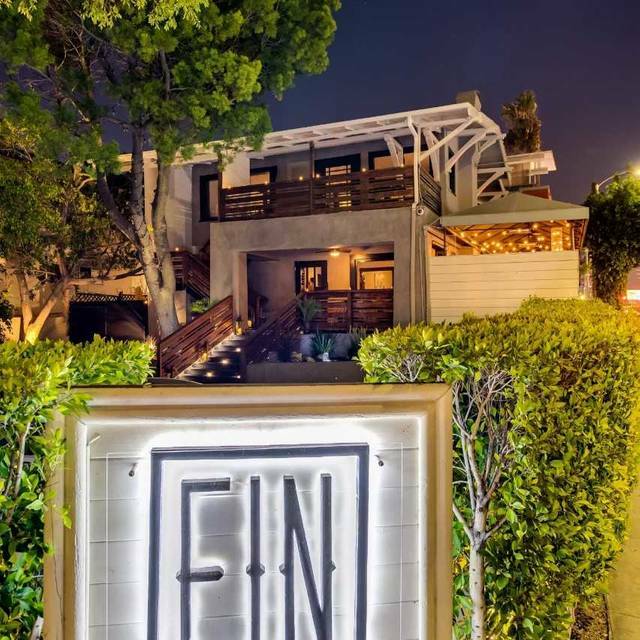 Come experience the vibe we've created at FIN Hollywood. Love the owners here, the staff is great, ambience is great. Food is great. It’s just great!! Great atmosphere and check out the Speakeasy upstairs! It was fantastic! Ian the GM was so nice and welcoming. Food was delicious. Loved the service. Food was great too it’s always great finding places with vegan options. After a week of going to several of LA's top sushi places I was feeling a little sushi-'d out but I agreed to giving FIN a try. REALLY glad I did- FIN was a standout. Fantastic food and tremendous service. Perfect if you're looking for a restaurant with a cool vibe but you'd also like to hear the other person talk. Cocktails were on point. We had tickets, but I wish we could have stayed longer to order dessert or try upstairs. Next time! You can eat better dumplings in most decent Chinese restaurants. 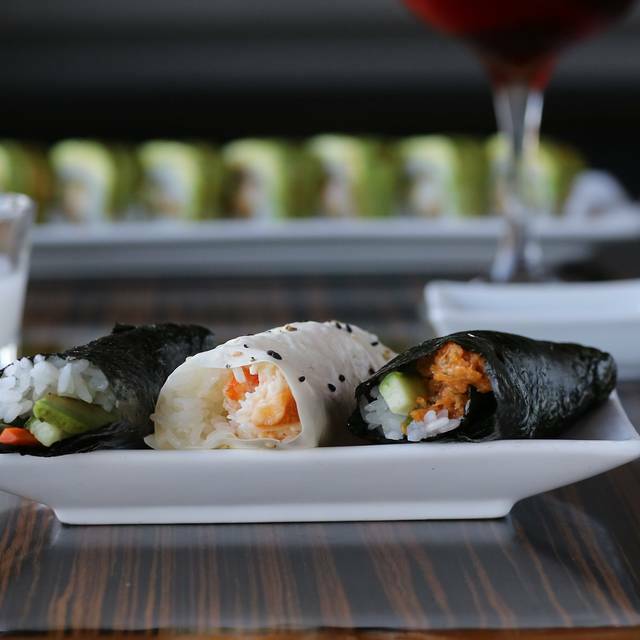 You can eat better sushi in a Japanese restaurant. The food was okay, but not great. Service wasn't good. We ordered the four course prix fixe menu for two... got our third course first, then had to ask multiple times for the first two courses... course 1 and 4 came out together, then I had to ask for 2 again which finally showed up and wasn't very good. The waiter seemed exasperated and blamed the new management... but it still didn't fix the situation. Food was okay overall -- not enough to compensate for bad service and courses way out of order. Valentine’s dinner service was less than stellar. Seemed very short staffed and disorganized. Otherwise great place. Food took forever to come out. Seatings area is very small and compact. The Valentine's day dinner menu was very nice and delicious. It was odd though that a chef who is so particular about his menu and having everything just his way decides to serve ice cream for desert that is nothing but ice crystals and for $6 on top of the desert cost. I would have taken the vanilla ice cream and tossed it out rather then serve it. Obviously it had been allowed to melt and refreeze again. I wouldn't expect anything to be wrong at a high end restaurant like this, but mistakes happen. The automatically added tip on the bill for the kitchen staff was also a little odd to see too. Tremendous Valentine's Day dinner. Food was excellent. Service too. Will come back. Fantastic food, beautiful place. Service was acceptable but not up to the standard of the food. I will be returning and definitely recommend it. Some of the best Japanese/Asian Fusion food I have had. One of the worst experiences I’ve had dining in LA. Wouldn’t ever recommend this place to anyone! Came here for dinela. Our server was very attentive and had suggestions about everything. The sushi and sashimi were pretty good. The salmon was just ok. My friend had several small dishes, all of which he seemed to enjoy. It's got a nice deck area. Might try again. Came here with 5 of my friends for dineLA. It was definitely a great choice! The value we got for our 3-course meal as a result of the dineLA deal was awesome, and the food was exceptionally good. I ordered the salmon truffle sashimi for my first course, the pumpkin tempura with curry salt for my second, and the yuzu beurre blanc grilled salmon for my third. They were all delicious and unique flavors I hadn't tried together before; plus, the textures were also fantastic! A few of my friends ordered some other things from the dineLA menu (I think between the 6 of us, we all tried at least 1 of the 9 different options), and we all thoroughly enjoyed our dining experience. We were seated at a big, comfy booth-table at the back of the outdoor patio (under a heat lamp, so the temperature was great), and the ambiance was definitely enjoyable! Bonus, since it was later on a weeknight, we were able to find free street parking super close to the restaurant. Our host Mike and waiter Ryan took pretty good care of us. I think we would all be willing to come back here again, especially if it's not a Sunday or Monday and that means we can explore the upstairs bar area, as it wasn't open the day we went. 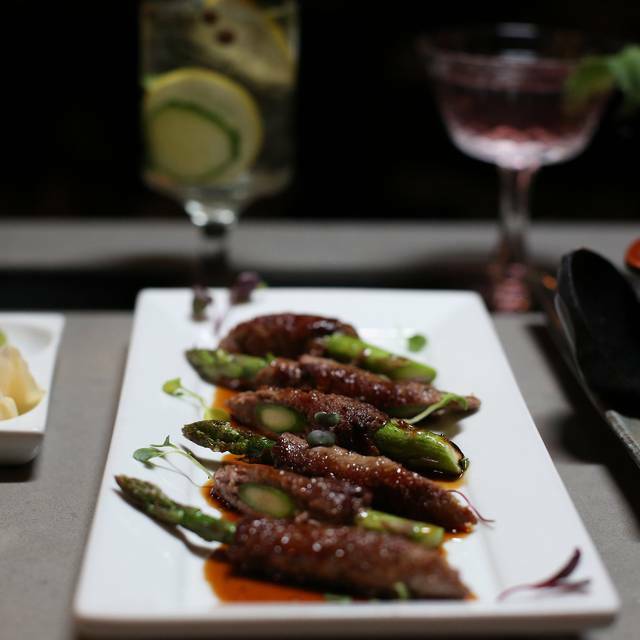 Definitely a worthwhile place to check out for happy hour, late night tapas, date night, group get-togethers, etc.! Joined for the Dine LA specials. SO DELICIOUS!!! The onion albacore sashimi melted in my mouth and was truly the greatest tuna I have ever had. I will fantasize about it til we meet again. The spicy tuna crispy rice was delectable as well. And so was the grilled salmon(with a side of rice). Lovely atmosphere...except for the lights which kept dimming every 15 minutes or so, that was odd. However, I cannot wait to go back. Found this place on the DineLA website and decided it would be a good way to try a new place, having just moved to Los Angeles in July we are still discovering places we like. 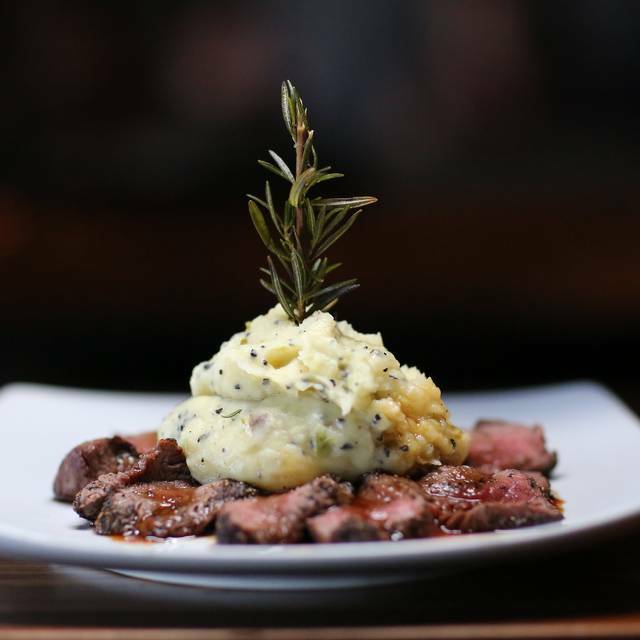 I'm so glad we chose FIN because we loved everything about our experience - the food, the service, the atmosphere. One of the managers was helping us and he recommended two absolutely tasty sakes that was throughly enjoyed and he was very attentive. We will definitely be returning for the regular menu! My husband and I have been to Fin twice now, as it is close to where we live. 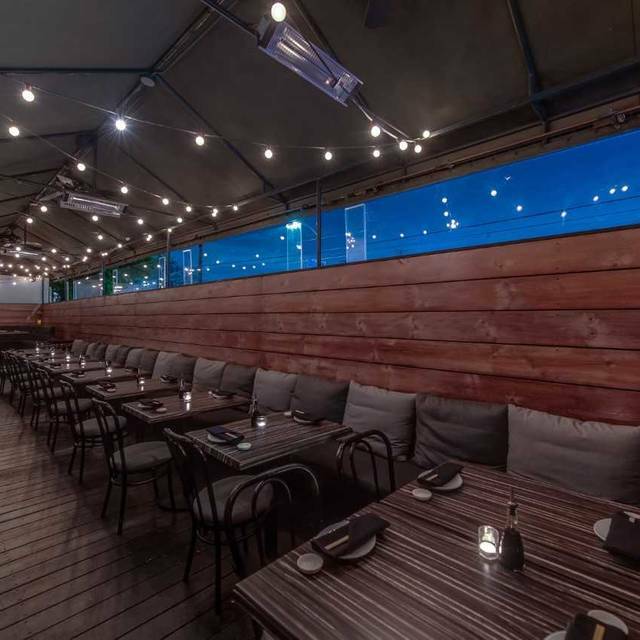 It has a heated patio and such delicious food! 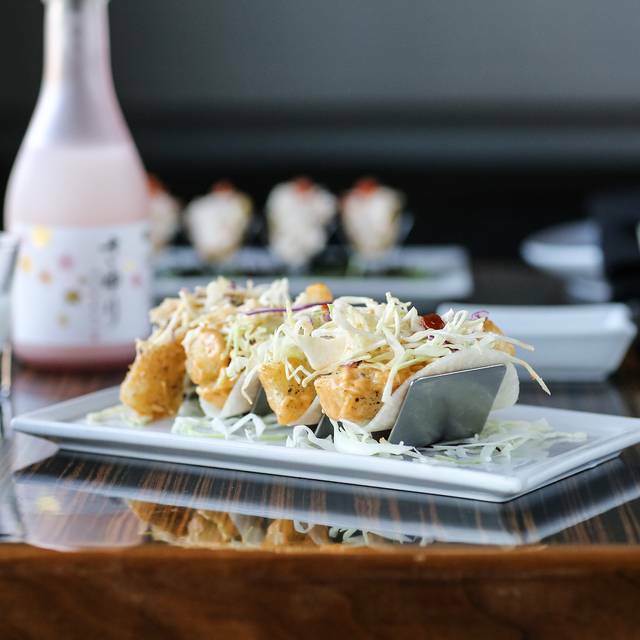 Try their multi-course omakaze sushi meal. The shishito peppers are amazing, and I have never tasted such juicy, battered gyoza. Fresh sushi, delicious filet mignon, and creative yummy cocktails. Great place if you're looking for a nice date night! I loved this place. The food was fantastic & the service was amazing. Would definitely recommend as a great date venue, particularly with the bar upstairs to follow dinner. Only real issue was that our (shared) roll came about 30 minutes after everything else that we ordered. The waiter finally acknowledged and said that they were “a bit backed up” (as others all around us (who arrived after we did) were being served their rolls and other items), and after that point it was at least another 15 minutes. Another staff member said it would be “right out” which turned out to be about 10 min before we actually got it. I certainly understand that things get backed up sometimes, but there was a complete absence of responsibility for our understandable frustration. At other restaurants, when I have experienced waits less “severe” than what we dealt with, there has been at the very least an apology, and often a small gesture to demonstrate that they actually meant it. So all in all the food was good but service was disappointing (again). I say that with the caveat that the gentleman who actually brought most of the items to our table (and cleared it when we were done) - not our waiter - was extremely professional. The food was really good, and the ambiance of the place was great. Glad to live right around the corner. Thank you! We are happy you enjoyed your experience. 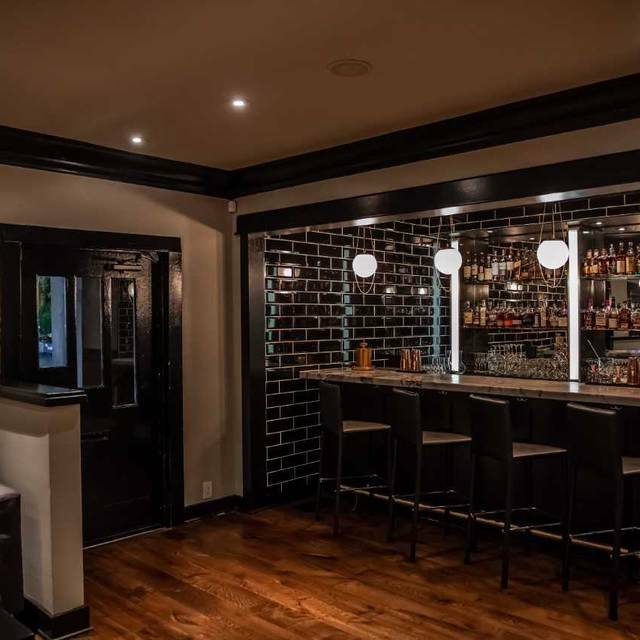 Please check out our new bar upstairs, The Residency. While I wouldn't call it tapas, all the food we had was outstanding. We're going to come back for the speakeasy upstairs. don't usually write reviews and have been to Fin Asian in Hollywood multiple times but latest visit was a nightmare. extremely poor service. 35 min to get a drink 1 hour after ordering first dish arrives. wrong dishes being brought to tables all around. credit cards lost, mischarged, no apologies besides more people are here then we thought. food also was cold when it did make it table. they need to seriously assess things before would ever advise anyone to head here. shame. great location and usually good food. Look forward to our next visit. Service was great, as was the food. The food and service was amazing; loved the salmon sashimi (I don’t eat salmon sashimi unless it’s really good and this one was amazing). Also, the drinks were really good (I had the Hello Kitty with no agave because I don’t like any sweetener and it was made perfect; usually when I remove the sweetener it doesn’t taste as good but this one was perfect). Great place. They need better marketing though - I couldn’t believe how awesome it was, but it was empty. The food and service were extraordinary from the moment we were greeted to the time we left FIN ! Our waiter and server were extremely knowledgeable and personable. 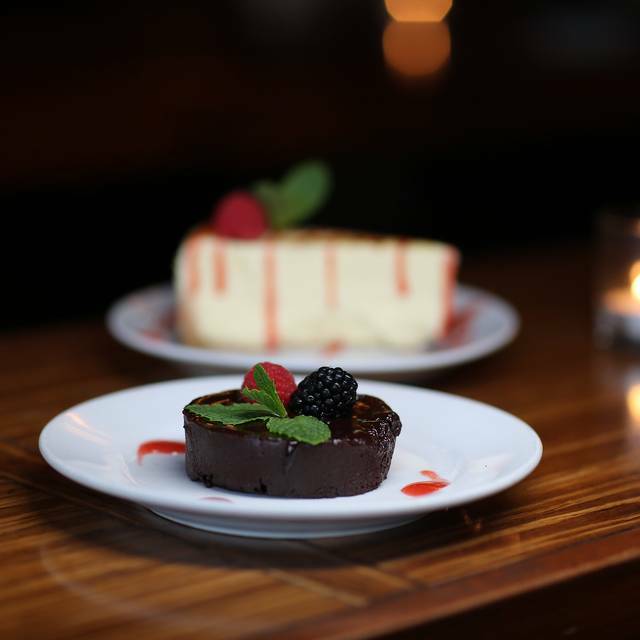 Everything on the menu is decadent with a plethora of options. We'll definitely be revisiting FIN in the near future! Why is this restaurant not jam packed? Ambience is good, service is excellent and food and drinks are delicious. My whole family loves it there and goes as often as we can. Mauricio the Manager was super nice. Our waitress gave great suggestions and the fish was fresh! Will be back. Very pleasant experience with outstanding food ambiance and taste. Well done. The patio was extremely hot without AC and there’s no insect mesh so we were fighting flies off our sushi. With AC and mesh this place would be wonderful. Food and service were excellent. Absolutely wonderful. Every dish was fantastic and the black cod was perfectly done, as were the cocktails.